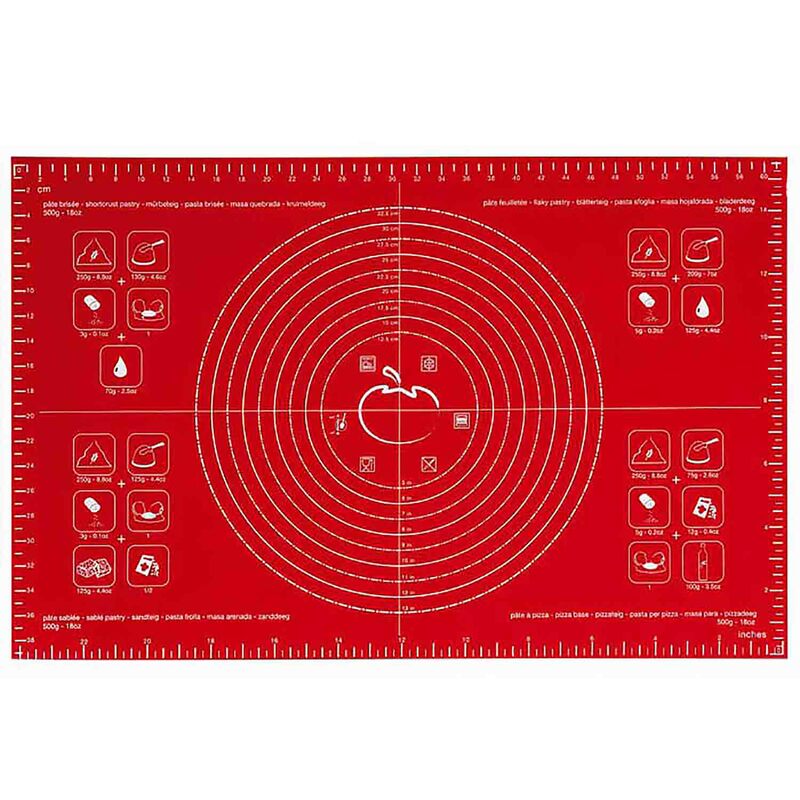 Brand: Mastrad, Orka MI-A45210 Units: 1 This 24" x 15" red mat is heat resistant to 450 degrees. The durable, yet flexible design makes rolling dough easy. Made of sturdy fiberglass and non-stick silicone. Features 4 different recipes and has 9 different sizes. This 24" x 15" red mat is heat resistant to 450 degrees. The durable, yet flexible design makes rolling dough easy. Made of sturdy fiberglass and non-stick silicone. Features 4 different recipes and has 9 different sizes.